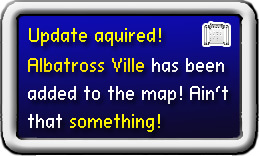 Wow, so great to have Albatrosse Ville on the map! I open it with added pleasure! Also, it is known that they have great festivals with mighty bass thunders!